We're giving away 20,000 free comic books on Saturday, May 5, 2018, at our annual Free Comic Book Day Festival that includes a charity raffle, live wrestling, roller derby athletes, West Coast Avengers cosplayers, Stormtroopers, face painting, balloon art, food trucks and more! 25% OFF Graphic novels, collected editions, toys, variant wall (variants and back issues on the wall), and variants in the boxes behind the counter. NOTE: art on the art wall is not on sale, but is available as priced. Parking is available on Larkspur. It's the street next to the shop. 8. Select up to 10 Free Comic Book Day titles! Be sure to check out the full list of exhibitors below. (2) get in line on Free Comic Book Day and take up to 1 of each title. If you choose option 2, then come at your leisure and go straight to the Members' Only VIP Line, a.k.a., the short line. 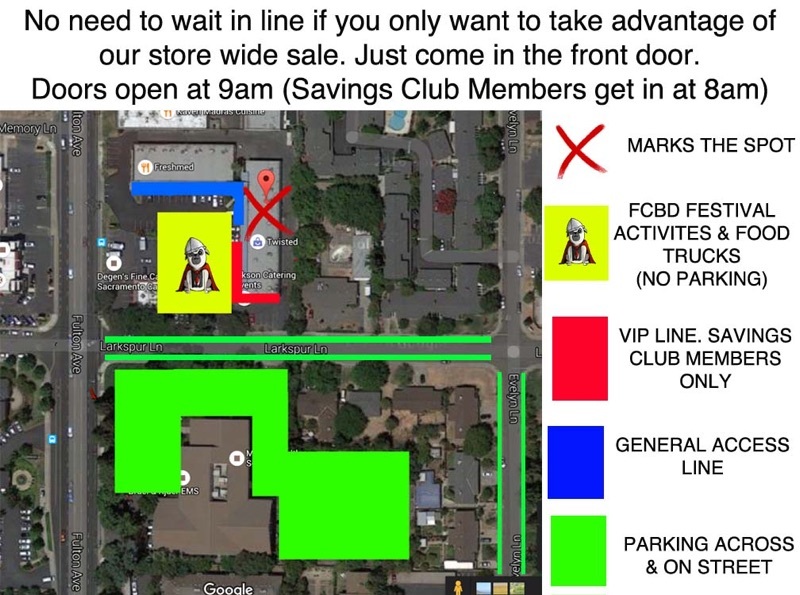 Also come at 8 a.m. for one hour of private, early access to free comics, and to take advantage of the sale. After the FCBD Festival ends, we began celebrating Free Comic Book MONTH every Saturday in May. It features FCBMonth-exclusive comic books, collected editions, and posters -- for FREE. 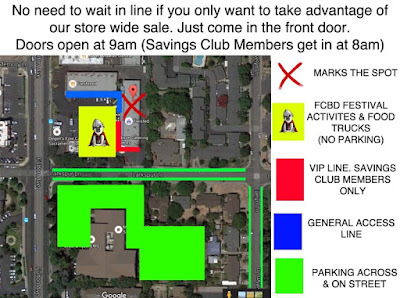 Members can come any Saturday they want or every Saturday. NOTE: Only Savings Club Members who enrolled by December 31, 2017, are eligible for this benefit. Here's a complete list of participants at this year's festival. Wandering Boba: Facebook | Twitter | Instagram | Filipino / Asian cuisine. 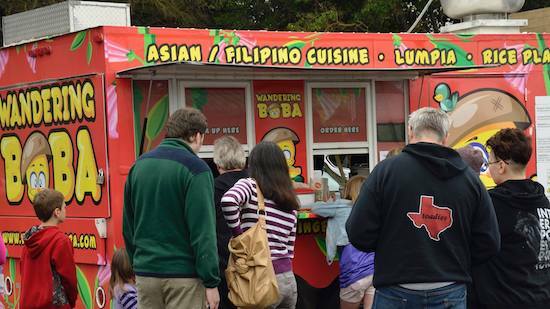 Serving delicious Filipino dishes, Milk Teas and Fruit Infused Teas. Wandering the Sacramento and Northern California region. Chris Cinder: Instagram | Chris is a true-born doodler/dreamer turned artist/gamer/storyteller, raised and educated in Sacramento around a robust and diverse arts community. His influences run the range of pop music and comics thru hobby/video gaming and adventure films. His work focuses on story and characters. Many of his pieces will follow a character through its adventures and discoveries. His ongoing art effort, the Hakobots, tell the stories of heroes and villains in the world of Hakotown. Crystaline Owen: Etsy | Crystaline is a California raised artist who works mostly in watercolors and inks. She graduated from SacState with a BA in art education and now enjoys teaching art classes to small children. She has been using watercolors for 10 years and finds most of her inspiration in nature. Crystaline prefers watercolor because it enables her to both paint in great detail as well as explore the freedom of letting the paint do it’s own thing. Eben E. B. Burgoon: Eben has been writing comics independently for more than a decade. Coming from a background in short fiction and sketch comedy, Eben's first foray into comics was with Eben07: Covert Custodian -- a webcomic about spies and their janitorial staff. Currently, Eben is working on new episodes of B-Squad: Soldiers of Misfortune while collaborating on various projects with Starburns Industries startup imprint, SBI PRESS, and their project "The Book of Nightmares" and working closely with artist Danny Scheible on international Tapigami exhibitions and creating how-to books and kits. In addition to writing, Eben's been out in Sacramento advocating for the use of comics in schools as literature and arts. He can frequently be found in the world teaching kids and adults how to bring their stories to life. Eben is based in Sacramento, CA with two cats, two dachshunds, and one very special lady. His beard is as big as your head. Ghost Thunder Collective: GhostThunder is a Sacramento-based collective comprised of writer David Andry and artists Christopher Alvarez and Hannah Moore. Together they create comics, prints, t-shirts and other cool things. Heather Merrifield: Facebook | Instagram | Heather is a photographer and graphic artist who enjoys taking photos to show how beautiful the mundane can be. She captures everyday moments in an unusual way. Recently she has been working more with photo manipulation, trying her hand at more fanciful creations, straying toward the fantasy realm. Fantasy and reality often combine to give the same photograph several different incarnations. Every aspect of photography fascinates her, and she can’t get enough of the medium. Jared Konopitski: JaredKonopitski.com | Facebook | Instagram. Jared Konopitski is an artist living and working in Sacramento, California. His work has been exhibited at galleries, festivals, and museums internationally and across the US, including The Smithsonian, Washington D.C., The Crocker Art Museum, Sacramento, CA, and The Mutter Museum, Philadelphia, PA. Jared has had his work featured in The New Yorker (2014), Color Ink Book (2013), Papercut Magazine (2013), Arcana’s Steampunk Originals (2013), Heavy Metal Magazine (2012), Catapult Magazine (2012), DisColouring Book (2012), Penumbra eZine (2012), and Wow!cool! Psycho Nurse Calendar (2011). Jared has worked with many clients such as Universal Studios, Showtime, Art O Mat, Turning Art, PBS the offices of MAD magazine and more. In addition, Jared has curated numerous gallery shows and corporate art seminars. In his spare time, he enjoys facilitating art workshops, with focus on early art education. His art has been compared to a rush of sugar, appealing to children and wonderfully strange to adults. Jen Monson: Facebook | Twitter | Instagram | Web | Jen works in a variety of media and is always pushing the bounds of her creativity. No one media can contain her, and she continually searches for other surfaces to create upon. Julie Okahara: Facebook | Twitter | Instagram - Julie was born in Osaka, Japan. After graduating from Osaka Industrial Arts High School, she started her career as a graphic designer. Wanting to further her studies in studio art, Okahara came to California in 2005. Since then her mediums have expanded into acrylic painting, ink drawing, sewing, and plaster, wood, and clay sculpture. She still likes to claim herself as a self-taught artist, since she didn’t take any painting classes in college, yet most of her works are mixed media paintings. Her style is influenced by both Japanese and American pop art culture. She likes putting different everyday life items together to create her own world. Her first solo show took place in Midtown Sacramento in 2010 where she won acclaim and a following for her signature use of bright colors and mixed media. She has since put on more solo shows and has been in multiple group exhibitions in Bay Area and Sacramento. Julie's artwork was featured at Empire's Comics Vault in March. Justin Orr: Website | Instagram | Twitter | Facebook | Justin is an illustrator, concept artist and animator from Northern California. He has worked in numerous artistic fields including animation, gaming, and commercial advertising. His work has encompassed time with companies such as Nickelodeon, MTV, Picture Plane Illustration, Wild Brain Animation and Leap Frog. He has contributed artwork to various popular properties such as SpongeBob Square Pants, Star Wars, Super Mario Bros and Teenage Mutant Ninja Turtles. He has created artwork for clientele as far away as Australia and his concept design work has even taken him overseas to work in Japan for a stint. 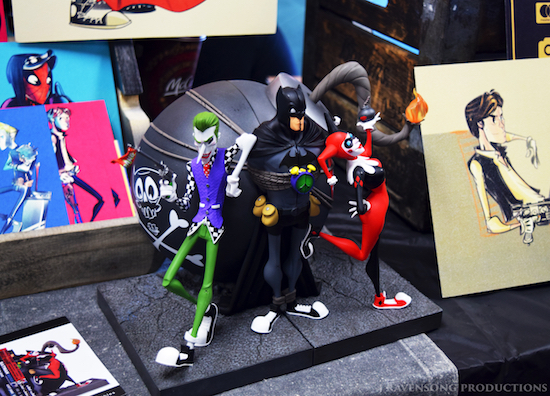 Additionally, he has done work for clientele, which also includes TBS and VIZ Media, all while running his own independent art studio in Oakland, California. Matt Marchetti and Cory Patten: After being the first person to ski down an erupting volcano with sharks tied to his feet and then using said sharks to surf on a tidal wave to safety, Matt was not heard from for many years. He later resurfaced being lured out of hiding by PEZ and comic books. After traveling the world as a motivational speaker for ducks and mentoring the first duck to run a fortune 500 company, he was abducted by ninjas hired by a mad scientist. He later became the ninjas’ leader and mastered many forms of martial arts. After his world tour to reform people who drive too slow and leave the toilet seat up (mostly by ninja-kicking these offenders into submission), Mr. Marchetti began writing and illustrating The Slightly Insane Spontaneously Combusting Frothing Mutant Ninja Blackbelt Samurai RABBIT-WALRUS from Hell comic books, loosely based on his many adventures. Bookends/art by Nooligan. Photo by J Ravensong Productions. Hainanu "Nooligan" Saulque: HaiNaNu “Nooligan" Saulque is an artist, comic creator and graphic designer based in Sacramento, CA. An old soul in a young body, HaiNaNu finds inspiration in times past. His style is contemporary with a flare of nostalgia. From the cartoons of his youth to films he missed by decades, from golden age comics to classic newspaper strips, you will find a creator who has immersed himself in what he loves. Nooligan.com | Twitter | Facebook | Instagram. Supreme Pro Wrestling: enjoy live wrestling. Supreme Pro Wrestling was founded in 2000 and has run monthly shows ever since. Members of the SPW Roster have gone on to work for every major company in the world, including WWE, Impact, New Japan Pro Wrestling, and Lucha Underground. 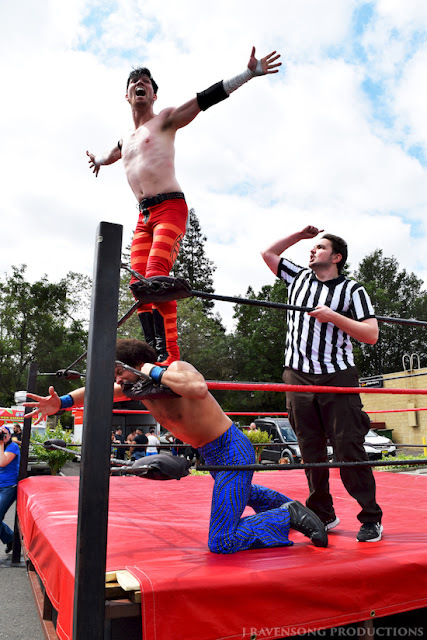 Each year SPW does charity shows to benefit Alex’s Lemonade Stand (a children’s cancer charity), Sacramento Food Bank, and the Children’s Receiving Home. SPW prides it’s self on being family friendly and being a positive in the community. The 501st Legion: Website | Twitter | Facebook | Mingle with the Empire's baddest troopers. The 501st Legion is an all-volunteer organization formed for the express purpose of bringing together costume enthusiasts from around the world under a collective identity within which to operate. West Coast Avengers: Facebook | Cozy up to Northern California's coolest cosplayers. The West Coast Avengers was founded to provide a collective identity for costuming fans in California with similar interests and promotes creating, owning, and wearing the costumes from the Marvel Universe featured in films, comics, and television. We are proud to put its resources to good use through charity work and volunteerism. We regularly make appearances at hospitals, children's charities, and community events. Sacramento Roller Derby: Website | Have wheels, will fly! But they're always happy to stop for a photo. 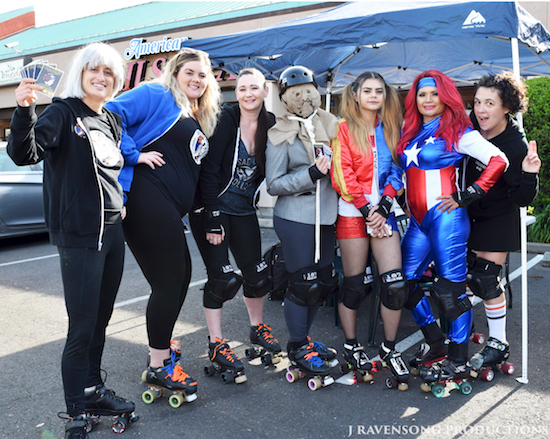 Created from the unification of Sac City Rollers and Sacred City Derby Girls, Sacramento Roller Derby combines the best skaters in the greater Sacramento region. Both teams operated in Sacramento for over ten years and have been leaders in northern California and have represented Sacramento at national and international tournaments within the Women’s Flat Track Derby Association (WFTDA). Black Panther Booth: Marvel Studios will be setting up a booth to give away Black Panther mini one sheets and have a way to enter for a chance to win a FREE digital copy.